In P.T. Anderson's directorial debut, professional gambler Sydney teaches John the tricks of the trade. John does well until he falls for cocktail waitress Clementine. Roger Ebert: The man's face is sad and lined, and he lights cigarettes as if he's been living in casinos for centuries. He has a deep, precise voice: We get a quick impression that he knows what he thinks and says what be believes. His name is Sydney, and he has found an unshaven young bum dozing against the wall of a coffee shop and offered him a cup of coffee and a cigarette. Why? The answer is the engine behind the first half of "Hard Eight." I am not sure it is ever fully answered, or needs to be. Sydney (Philip Baker Hall) is a man who has been gambling for a long time, and knows a lot about the subject, and shares his knowledge with the kid because--well, maybe just because he has it to share. rottentomatoes.com: On the surface, it’s just a random act of kindness, but the way Anderson frames the shot tells us there’s literally more going on than meets the eye — in what will become a recurring motif, he crops it so that Hall’s facing away from us and his head is out of the frame. We can’t see his eyes; we can’t look for his true intent. 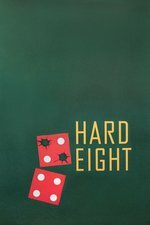 NYTimes: As ''Hard Eight'' tracks the mentor-protege relationship that Sydney cultivates with a gravity befitting Rod Serling introducing ''The Twilight Zone,'' the movie smells like one of David Mamet's fiendish stories of grifters embroiled in tricky games of cat and mouse. But Paul Thomas Anderson, who wrote and directed the movie, which is his first feature film, has other things on his mind. Sydney's motives aren't revealed until the film is almost over. Let it suffice to say they have to do with guilt and with a warped, grandiose sense of honor. I'm not sure the "getting rated" trick still worked even when the film was first released, but it definitely won't work now. Still, I have a soft spot for films that feature small cons like that, and I'm glad I watched it. Fun fact: PTA and Rysher fought bitterly over this film, and PTA ended up with a choice: his cut and the title Hard Eight, or his title Sydney and Rysher's cut. One day soon, when Philip Baker Hall has shuffled off this mortal coil, PTA, Rysher, CBS/Paramount and all the other involved parties will bicker and squabble and lash out at each other over financially negligible contract clauses... and maybe we'll see a limited edition Blu-ray of Sydney.